An exclusive club for those who love or hate (or love to hate) them mysterious boxes, join other addicts and get involved in the fun, chat, games and competitions of the original BAC group! Show off to the world your latest design of your pet's house, maybe you've been mixing it up in the waredrobe department is it a hit or a miss, join FAD for chat, competitions and more! An exclusive club for those crazy addicts of the "Twilight" saga who do you play for? Team Edward, Team Jacob or Team Switzerland? Come and join to chat about the show characters and storyline! Join the original C&G group now exclusively here at PSFC, all the regulars plus always a new face or two! Its full of chat, competitions, games, gifting and much more, so get involved and meet new friends! Sign in to your MayorMail account here, don't have an account? Then click on the sign up link and get yours today! 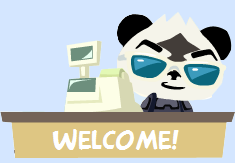 Once you've joined, come and say "hello" in our offical welcome thread! Or enter the forums and start chatting and trading with others here. After close to 4-5 years PET SOCIETY is closing down forever.. I'm truly sorry about it even though I don't play as much as I used to anymore.. I remember all the good times.. And the GREAT ones.. Yeah there were bad ones too but it was very few.. I also keep in mind all the great times I had here as well and the people I knew.. The people WE knew while playing the game.. It doesn't matter if you stopped playing.. You will always remember the time you played this game and the FUN you had.. It just makes me extremely sad to see it go like that.. But it also gave me back my memories.. I wish to all of you good luck and I lots of fun with other things.. PS will always hold a dear place in my heart and I think yours too..
Did everyone have a nice holiday? Did your pets enjoy their cruises? From the looks of our entries they certainly did! This week not only is it PS's 3rd Birthday...but its Room Of The Weeks 2nd Birthday! Thats right! Its been running for two years!!!! WOW! To Celebrate the winner of next weeks Room Of The Week will recieve 10x5999s + a CC item!!! So its worth entering everyone! Its Pet Society's 3rd Birthday! See all the Portal News in our Archives, Click here! So, your on the interweb and wanna keep in the know with your favourite site, then follow us on these social networking sites! PSFC's sister site, containing all the information you need on the stores and more! Want to be featured here in our list? Then contact Lea75 today for all the information!